In Sydney, the monthly rate of decline eased a little in March, however with values down 0.9% over the month, it`s clear that conditions remain weak across Australia`s largest housing market. CoreLogic has released their newest housing market update for April 2019. 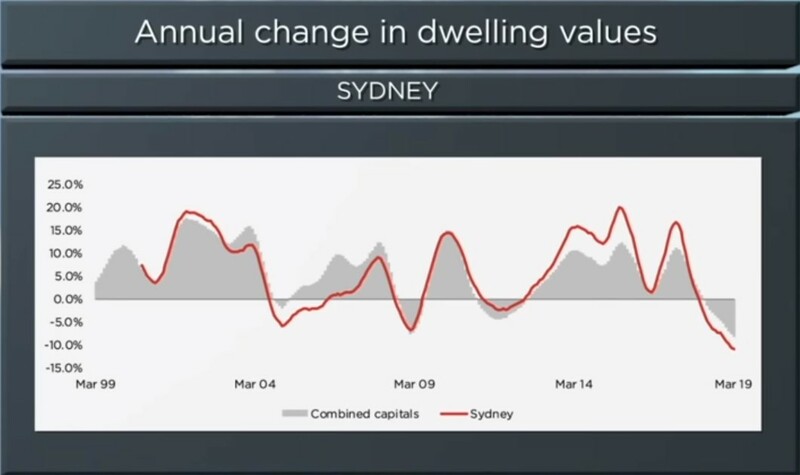 The Sydney market has recorded a cumulative decline of 13.9% since values peaked in July 2017, with a larger 15.2% recorded for detached housing relative to units where values are down 11.0% since peaking. With almost 28,500 properties advertised for sale at the end of March, overall listing numbers remain elevated, providing buyers with a great deal of choice and a strong negotiation position. Homes were taking on average of 74 days to sell over the March quarter, compared with 33 days a year ago.